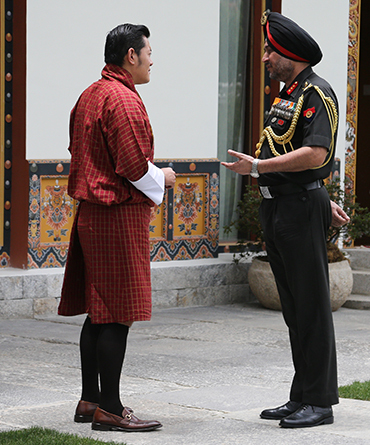 His Majesty The King granted an audience to the Director General of Military Operations of India, Lt. General Ranbir Singh, yesterday. The officer has held varied command, instructional and staff appointments. He is a recipient of several prestigious military awards and decorations.